The keynote address was by Prof. Christopher Abraham, CEO, Sr. Vice President and Head of Dubai Campus who explained that “this 2-day conference has created a unique platform, using open forums, panel discussions and Design Thinking to dialogue, debate and reflect on how the future of education can be addressed in a meaningful manner." The conference began with a special address by Dr. Nirkesh Sharma, Founder of IITA and Dr. Divij Suri, the National Executive Advisor. This was followed by Dr. Kirti Khanzode, Deputy Director of SP Jain’s Undergraduate programs, who enlightened the audience about what S P Jain does to train its students to be skilled members of the global economy. 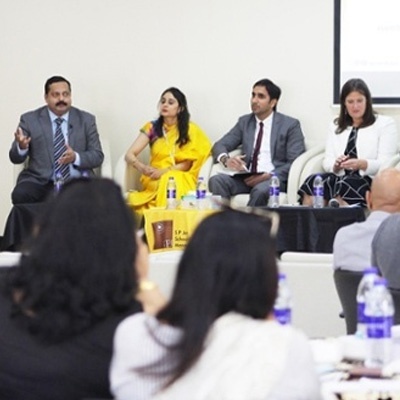 The Education Leader’s Forum was moderated by - Mr. Chandrashekhar Singh, Global Director, Corporate Relations S P Jain and Mr. Srivalsan Murugan, Principal & CEO, Our Own English High School Sharjah-Boys. The topic was- Are we preparing our children for careers that don't exist? 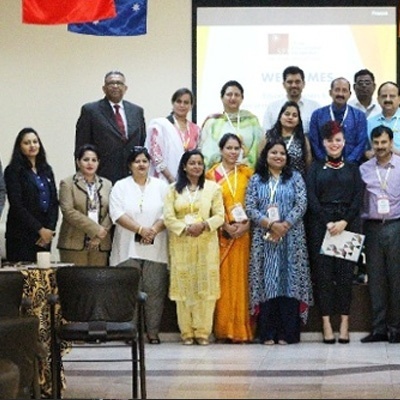 The program included two interactive workshops held for the participants – one by Prof Christopher Abraham on - Reimagining Education 4.0 with Design Thinking and another interactive session on ‘Emotional Intelligence Workshop for 21st Century Learning & Teaching’ by Ms. Bijal Oza, Director of Coaching & Counseling, SP Jain. The IITA members were then taken on a tour of the Dubai International Academic City (DIAC) and the Knowledge & Human Development Authority (KHDA) Office to know and understand the unique education system of the UAE. The conference concluded with a panel discussion moderated by Dr. Dhrupad Mathur, Deputy Director - Faculty Management, and including Dr. Divij Suri, National Executive Advisor- IITA and Chairman, The Pathways International School, Kathua, J&K (India), Ms. Bharti Sharma, National Advisor (North)- IITA, Ms. Cherie Litwiller, Director-Al Najah Private School, Abu Dhabi & Mr. David Ipe, Associate Dean, The Indian High School - Dubai. The panel discussion focused on the theme “Reimagining Education Beyond Borders”. Final address was delivered by the President, Mr. Nitish Jain, who gave a captivating vision of SP Jain’s initiatives to reimagine education. Based on the success of this event, SP Jain intends to hold such relevant forums on a regular basis.